What is fibromyalgia – what is fibromyalgia syndrome? Fibromyalgia is a pain disorder in which a migratory pain affects all muscles and joints of the body. The cause of fibromyalgia is unknown; it is assumed that it develops e.g. due to chronic inflammation (triggered by infectious diseases), severe stress, growth problems or trauma. According to official assessments, fibromyalgia can be pharmaceutically treated, but is not curable. The surgical method of Dr. Bauer can cure fibromyalgia. 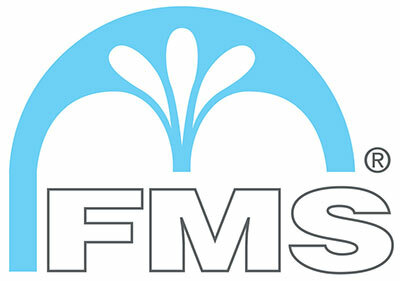 FMS is an organic, physical illness. The adhesion of the affected pass-through locations of the anatomical triad of the artery, vein and nerve results in impairments to the stimulus conduction of the small nerves, with varying intensity. This impairment is registered as a nociceptive stimulus and represented as pain. The deafferentiation results in relief of the overloaded pain threshold (which is not reduced, but flooded with stimuli). It resumes its function. Since it is no longer fed by pathological afferences, pain memory runs out like a wound-up clock. The name of the illness is generally abbreviated – we speak of “fibro”. There are no specific medicaments which target fibro. Analgesics, antidepressants and muscle relaxants are generally prescribed; sometimes also drugs. Multimodal therapy is often suggested as a combination of various approaches. Just as the causes of the illness (aetiology) are considered to be unknown, the mechanisms and development of fibro (pathogenesis) are also deemed unknown. Like any illness, fibro also influences the mental status of the sick person. For this reason, one generally finds a depressive reaction in patients with long progressions of many – often failed – therapy attempts, which can be treated with antidepressants. Due to habituation, many patients react less strongly to the antidepressants over time, and if the dosage is increased, this may even result in a reversed effect with self-aggression. Short-circuited actions may occur; even suicides are possible. Depression and fatigue syndrome, however, are not the cause of fibro, but consequences whose treatment does not correct fibro. It makes sense to differentiate fibro from fibromyalgia syndrome. In the latter, a bundle of vegetative and functional symptoms, so called additional symptoms, occur in addition to the migratory fibrous muscle pain. This includes states of swelling, allergies, headache, migraine, difficulty swallowing, voice loss, orofacial pain, morning stiffness, eye problems, varying visual acuity (no glasses work for the long term), mitral valve dysfunction (heart catheter indication widens), panic, tremor, bouts of sweating, depression, fear of the future, Hashimoto underfunction of the thyroid gland, menstrual disorders, back pain, shoulder and arm pain, problems with walking, irritated bladder, irritated bowel (the list makes no claim to completeness). Of course a patient is unlikely to show all symptoms at once, but even initial symptoms such as decreased concentration (e.g. being able to read a book), memory loss, and increased fatigue all indicate that it would make sense to look for other symptoms from the list above in order to permit a diagnosis. The first phase of fibro may take decades. The oldest patient of the practice of Dr. Bauer had pain for 60 years, starting in the 6th year of life as growing pains. In the first phase, the pain increases, but there is no diagnosis for the illness. All other illnesses with similar symptoms are usually clarified first before a diagnosis of fibro is determined. Phase two of the illness is that all classic treatment methods are tried. However, even suicidal thoughts may occur, since these methods merely aim to relieve pain or treat depression (erroneously regarded as a cause of fibro). It is only in the third phase, when all classic routes have been exhausted, that patients become willing to deal with alternative methods. Early clarification of a pain syndrome not only gives them certainty about the diagnosis, but also allows for efficient and effective help using the method of Dr. Bauer.